Tax loss harvesting is a means for investors to take advantage of capital losses on their investments to offset gains on other investments, thereby reducing or eliminating capital gains taxes. Investors "harvest" their losses by selling a security at a loss and selling another security at a gain. But there are a few rules of taxation to understand before undertaking your tax loss harvest plans. Understanding the tax consequences (capital gains and capital losses) of selling mutual funds is an important aspect of successful investing practices. You don't truly have a gain or a loss on any asset until you sell it. Until then, you just have something on paper (or online) telling you how much it is worth. For example, if you sell your stock mutual fund for a higher price than you bought it, you will have a capital gain. If you sell your fund for a lower price than you bought it, you have a capital loss. When you have a capital gain, you'll owe capital gains tax. However, the capital loss can either offset the capital gain or, if there were no capital gains during the tax year, you could use up to $3,000 to reduce your regular income. If net losses exceed $3,000 an investor can carry forward any unused losses into future tax years. When you use capital losses to offset capital gains or to reduce regular income, you are doing something called tax loss harvesting. The strategy with tax loss harvesting for offsetting capital gains is to pay attention to the price or Net Asset Value (NAV) of your mutual funds. For example, suppose you invested $1,000 in Fund A and $1,000 in Fund B. Two years later, your Fund A is worth $1,500 and your Fund B is worth $500. If you sell both funds today, you will realize a $500 capital gain on Fund A and a $500 capital loss on Fund B. The gain and loss would offset each other and you would not owe any tax. In summary, tax loss harvesting can be valuable to an investor, either as a means of reducing or eliminating capital gains or as a means of reducing ordinary income. Remember that capital gains or losses do not apply to tax-deferred accounts, such as your 401(k) or IRA, so tax loss harvesting is not possible in these accounts. Some investors like to buy back at a later date the same fund they sold (harvested). Before doing this be aware of the IRS Wash Sale Rule, which essentially says that an investor cannot buy a substantially equal security within 30 days (before or after) the sale. Also, don't confuse tax loss harvesting with capital gain distributions. A wise investor can also reduce taxes in a regular brokerage account by reducing income from dividend-paying mutual funds and taxes from capital gains distributions with something called asset location—placing tax efficient investments within taxable accounts. 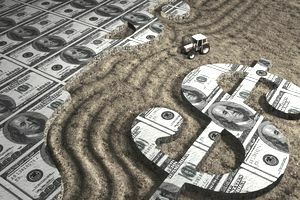 Finally, tax loss harvesting is often a year-end investment strategy, but a wise investor will be mindful of all fund purchases and sales throughout the year and make investment decisions based upon investment objectives, not the whims of the market.